At times, you want to quickly query your data in cold storage. This data could be stored in S3, and setting up and loading data into a conventional database like Postgres or Redshift would take too much time. Moreover, you only want these queries once a week, or once a month and keeping your database servers spinning would be expensive. Amazon Athena is a service that does this for you. You do not need any infrastructure besides S3, so it&apos;s truly serverless. You create a schema (table definition), point it to a S3 bucket and you&apos;re good to go. 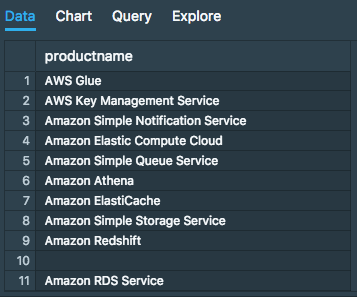 We&apos;ll look at using Athena to query AWS&apos;s detailed billing and usage data – a perfect use-case for Athena. Enable your AWS account to export your cost and usage data into a S3 bucket. We&apos;ll call this bucket silota-aws-billing-data. This option is available on the Billing and Cost Management console. Prepare the bucket for Athena to connect. Athena doesn&apos;t like non-data files in the bucket where the data resides. AWS creates a manifest file with metadata everytime it writes to the bucket. We&apos;ll create a new folder inside the silota-aws-billing-data bucket called athena that only contains the data. Athena requires a staging bucket to store intermediate results. We&apos;ll call this bucket aws-athena-query-results-silota. Make sure this IAM account can access both silota-aws-billing-data as well as aws-athena-query-results-silota. We have detailed step-by-step instructions for this step. To simplify our setup, we only use one region: the us-west-2 region. The next step is to create a table that matches the format of the CSV files in the billing S3 bucket. By manually inspecting the CSV files, we find 20 columns. You need to use the OpenCSVSerde plugin to parse the CSV files. The plugin only supports gzip files, not zip files. You&apos;ll have to convert the compression format to gzip or one of the supported formats. The plugin claims to support skip.header.line.count to skip header rows, but this seems to be broken. You&apos;ll have to manually rewrite the CSV files without the header. The data types of all columns are string, though Athena supports a whole bunch of data types. Amazon provides a drag and drop tool called Cost Explorer that comes with a set of prebuilt reports like "Monthly costs by service", "reserved instance usage", etc. Out of curiosity, we tried to recreate the query above – costs by service and operation. It doesn&apos;t seem to be possible. That&apos;s the power of SQL! As long as you have the raw data, you can slice and dice the data to your satisfaction. You can compute Month-over-Month growth rates, build histograms, compute outliers using Z-scores, etc. Athena&apos;s pricing model is straightforward – you are charged $5 per TB of data scanned from S3, rounded to the nearest megabyte, with a 10 MB minimum per query. Compress your data using gzip or one of the supported formats. If you get a 2:1 compression ratio, you&apos;ve just reduced the cost by 50%. Make use of columnar data format like Apache Parquet. If your query only references two columns, the entire row doesn&apos;t have to be scanned resulting in signicant savings. Partition the data. You can define one or more partition keys – for example, if your data has a time-based column and a customer_id column, the amount of data scanned is significantly reduced when your query has where clauses for the date and customer columns. The partition keys are setup using table creation.